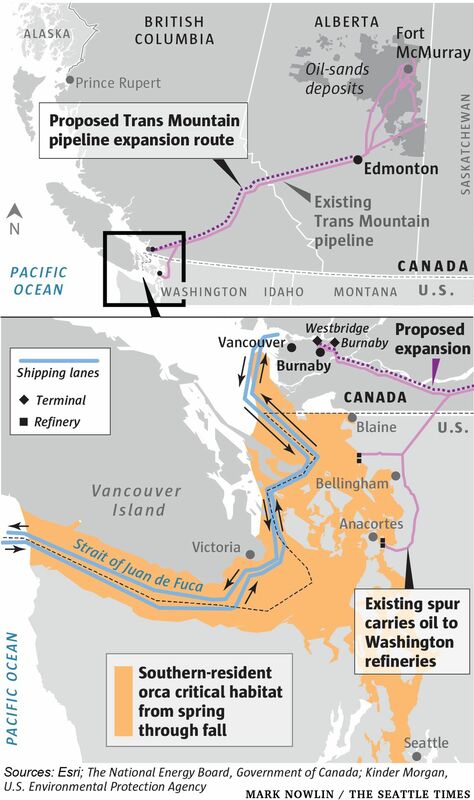 The contentious Trans Mountain project would nearly triple the flow of oil from the Alberta oil sands to the Pacific Coast and increase tanker traffic to more than 400 vessels annually through the Salish Sea. 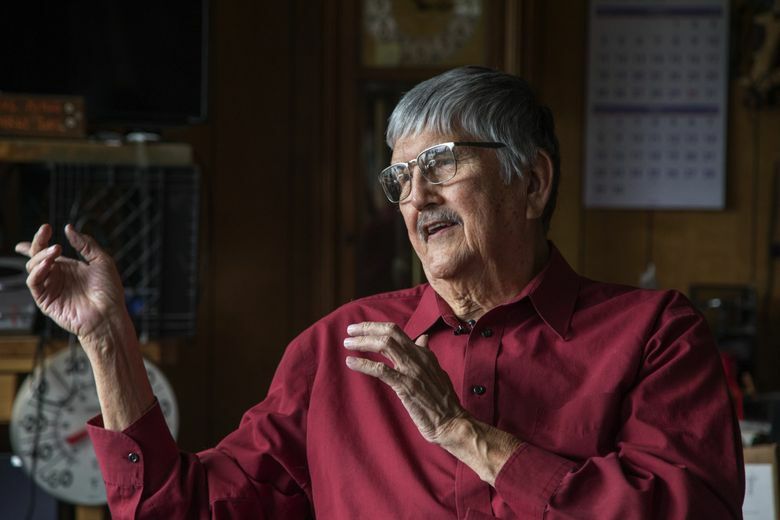 SEATTLE (AP) — Several U.S. tribal leaders told Canadian energy regulators Wednesday that increased tanker traffic from a proposed pipeline expansion project would harm endangered orcas, natural resources and their cultural way of life. Leaders from four Native American tribes in Puget Sound, Washington, traveled to Victoria, British Columbia, to testify before Canada’s National Energy Board as the panel reconsiders the impact of marine shipping from the pipeline project, as ordered by a Canadian court. Canada’s government last summer bought the project from Houston-based Kinder Morgan, saying it is in Canada’s national interest and key to diversifying oil exports beyond the U.S. In August, Canada’s Court of Appeals halted the project, saying the government failed to adequately consult with indigenous peoples. The court ordered the energy board to reconsider the project’s impacts from marine shipping. In 2016, the NEB found that project-related marine vessels would “likely to result in significant adverse effects to the Southern resident killer whale.” But the court said the board erred when it didn’t consider vessel traffic and its effects on southern resident killer whales, which are protected under Canada’s Species at Risk Act. “Although only Project-related marine shipping within Canada’s territorial sea is to be considered as part of the ‘designated project,’ environmental effects from that shipping occurring outside of the territorial sea can still be considered by the Board, including certain trans-boundary effects,” James Stevenson, communications officer with the board, said in an email.